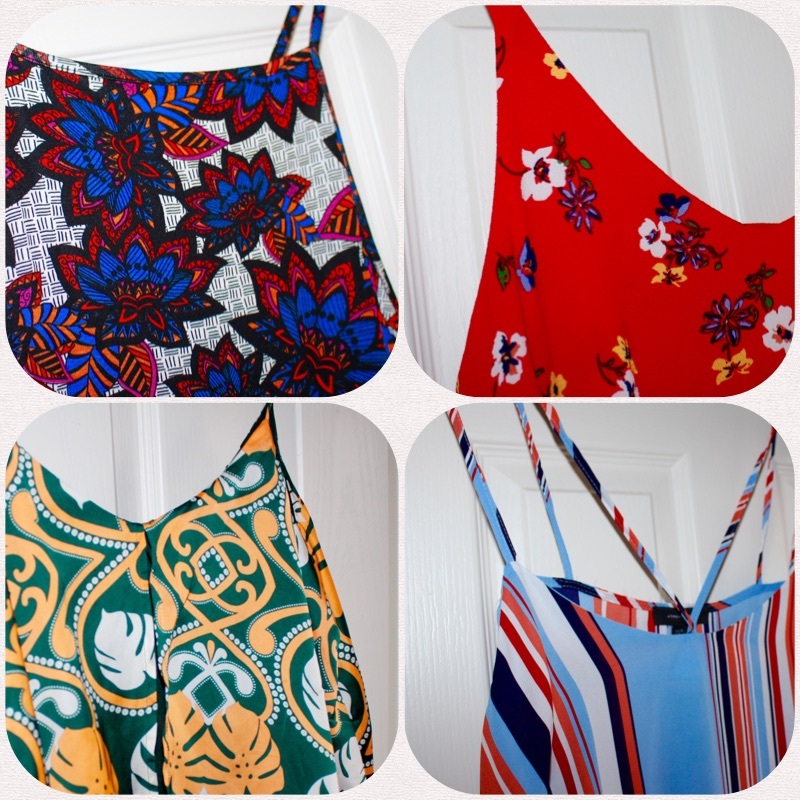 It’s getting to that time of year when people are stocking up their summer wardrobes and buying holiday clothes ready for their trips away. We go to Gran Canaria in July and I couldn’t help but pick up some bits for the holiday as I usually leave it last minute and all of the good things are gone! I have had to buy a whole heap of bits for holiday as we haven’t been on Holiday since we went to Lazarote in 2014 and I hate to admit that not a lot fits me like it used to, especially bikinis! I’m not blessed with perky, petite boobies anymore unfortunately and the cheaper, less structured tops simply don’t hold ‘me’ in or up and so I have to make sure I buy bra type bikini tops that are Bra sized rather than generically sized (10, 12, 14 etc). After hunting down a few, I found that Asda was the best place for these tops and really reasonably priced too! All 3 of my bikini tops were £8.00 - two bra style ones from Asda and the Sports type one is from Sainsburys! I also got a few cover ups for the pool and beach as I’m not that confident strolling round half naked anymore - both of the cover ups were from Primark. They have some lovely bits in for summer at the moment, like I said before, I think now is the best time to buy as all of the good things are still available. I can imagine that a lot of the stuff will vanish as the holiday season gets closer and closer. I grabbed 2 of these aztec style playsuits which were £5.00 each and then the white lace style cover up which also comes in black, for £8.00. So many places have some gorgeous prints at the moment, dresses, shorts, jumpsuits and skirts. I’m a lover of loose, non-fitted style dresses and they seem to be everywhere at the moment. 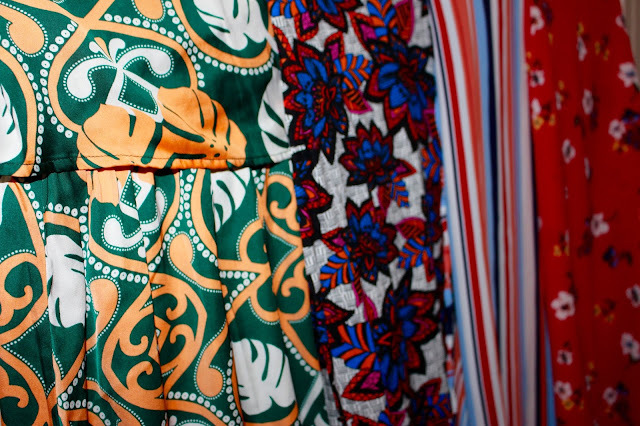 Maxi dresses are perfect for summer and holidays - dress them up or down and you can wear flats or heels too! 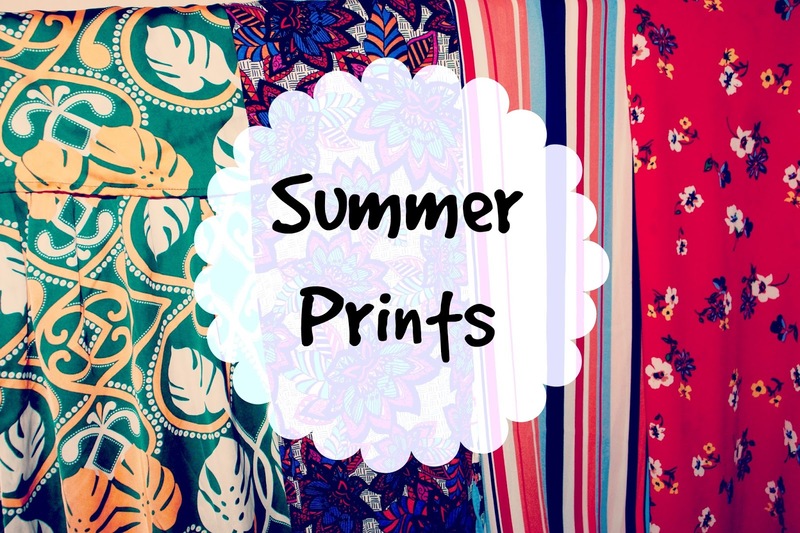 The purple and blue printed dress is a maxi from Primark for £8.00 - the red flowered print is a shift style dress, again from Primark for £10.00 - the green and yellow print is a midi style loose dress from H&M and was £24.99 and the Blue striped dress is also from Primark for £10.00 however they didn’t have many of these left so it’s already a popular piece!